For over 50 years, commercial clients in Orange County have depended on Tustin Plumbing, Heating and Air Conditioning for all their plumbing, heating or air conditioning needs. 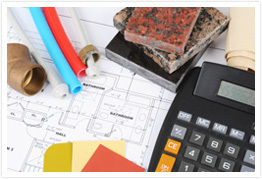 They know we understand the unique needs of our commercial plumbing, heating and air conditioning clients. We know how a plumbing problem can disrupt your business, and we go all-out to get things back to normal as quickly and efficiently as possible. Whether you need minor repairs or need to solve a larger problem, like an air-conditioning failure in mid-summer, clogged plumbing or water or sewer line back-ups, Tustin Plumbing, Heating and Air Conditioning stands ready to help. Available 24/7, our expert team of technicians will be there to check out and solve your problem, whenever you need them. They'll also take the utmost care to do what needs to be done with minimal disruption of your business. Call us today and put our expert plumbers and HVAC technicians to work getting your system up and working to peak efficiency. Thank you for visiting the website of Tustin Plumbing, Heating and Air Conditioning Services, serving Tustin, Irvine, Costa Mesa and all of Orange County. We're here to serve you.